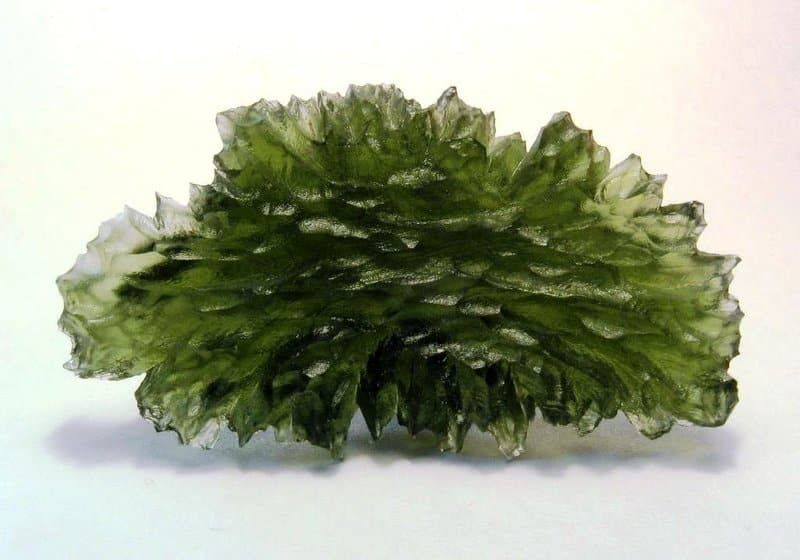 Moldavite is formed from melted rock resulting from a meteorite strike. The surface of these small specimens can be rippled (roiled), wavy, pitted and generally not smooth. Not usually seen in jewelry, but its popularity is on the rise.